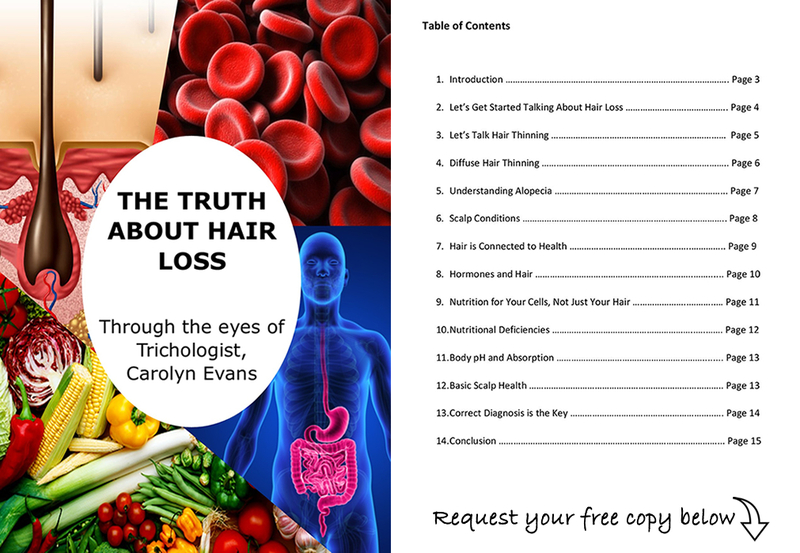 To help with hair loss and hair thinning problems, uncovering and understanding the various causes is very important and needs to begin with a thorough health and hair history. Hair Loss Clinic – Sydney Consultations start with a gathering of information through our directive consultation form that asks pointed and specific questions that uncover potential reasons that could be contributing to your hair concerns. Once we have this information we can see if health, past or current medications, well-being and nutrition could be contributing factors to your hair concerns. We need to look at your general health Blood Test results from your doctor just to check things are in range for hair growth. Sometimes what is safe or in range for the doctor evaluating general health, can show to be too low level for healthy hair growth, the immune system and our intrinsic nutritional balance. Keeping a copy and comparing your Blood test results can indicate when there may be health variances that could indicate a deficiency, absorption problem or fluctuating hormones that could be a contributing element to hair loss, hair thinning or restricting the hair from growing back. It is essential during your private and confidential consultation that you share as much as you can about your past and current health, lifestyle and stressors as these can all play a role in health and in turn hair problems. When we talk about stress, it is understood that it is part of life that is difficult to avoid at all times, but it is not the stress alone that is the problem. It is how your body reacts to stress and how it affects each individual differently. For instance, in a lowered nutritional state, as an example low iron and low vitamin D, long term stress will draw on your body’s nutritional levels to support your essential organs and endocrine system, not your hair. It is also human nature to let things go in times of stress commonly resulting in poor nutrition and lifestyle choices resulting in lowered general health, decline of the immune system less energy when we need it the most to get through. 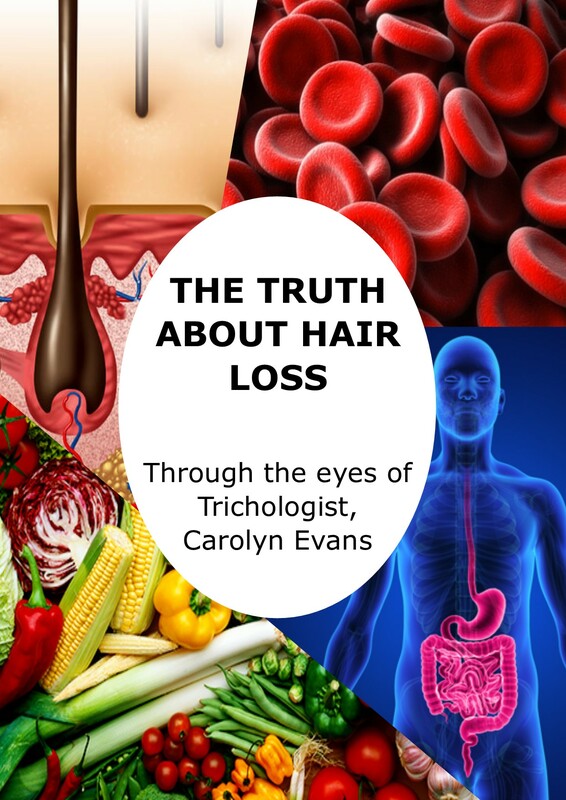 It’s important to understand is how health history is connected to the consultation to uncover any possible reasons for your hair problems. Then the following Microscopic diagnosis will uncover exactly how your hair has been effected. When we can see the problems effecting the hair are from the present or past, we can choose your individual Hair Loss Treatments to address all the symptoms and causes in Combination Therapy for best results. Hair Loss Clinic – Sydney Consultation takes up to 75 minutes and includes a Microscopic Diagnosis, we call this our “Hair Health Check’. This friendly and informative session costs $200. For interstate and overseas clients needing our help we now offer ‘Skype Video Consultation’. We direct you how to gather all the required information prior to the appointment, it’s more your work on your part but delivers an accurate out come with correct diagnosis and hair loss treatment options. To book appointments or enquire about our services contact Absolique Hair Health Clinic reception team by email on reception@absolique.com.au or call 07 3229 3242.